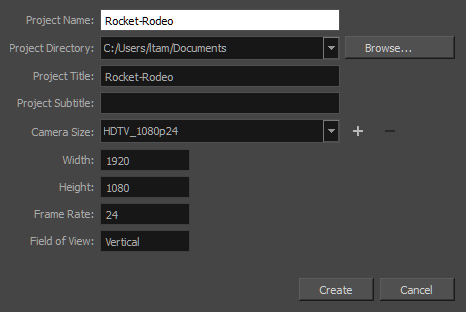 In the Resolution section, choose the project’s resolution—see Creating Custom Resolutions. Select the folder you created that contains your multiple Harmony scenes; do not select the Harmony scene folder directly. Click Select Folder. The name of the folder of each scene file is used to name the scene that is created. Panels are created in the Thumbnails and Timeline views.